The Tasmanian Writers’ Festival starts today and I did a special art printÂ for it. Prints will be available at the festival or you can buy one here. Click the image in the buy now thing below and it should pop up a bigger image (it won’t make you buy one if you do this though you totally should buy one). I’m also doing “Whisky Tales – Stories You Can Drink To” with Brett Steel and Bernard Lloyd on Saturday night but it’s sold out so you can’t come. Unless you bought a ticket obviously. Look, there are lots of excellent things on and you should go. 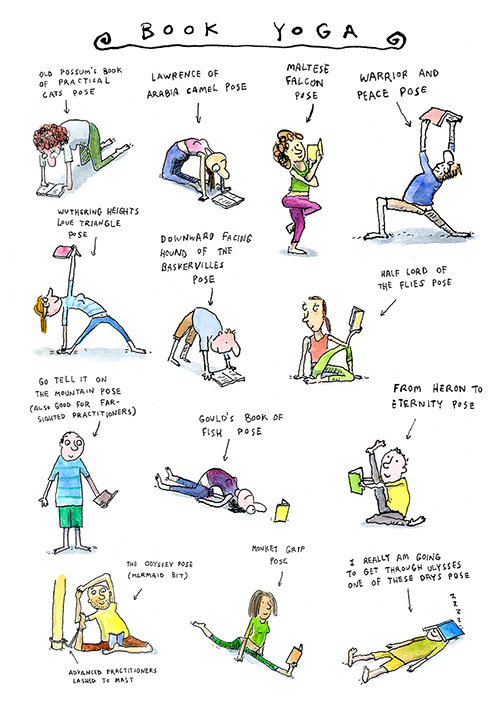 Posted in gag cartoons, News and tagged books, yoga, tasmanian writers festival.